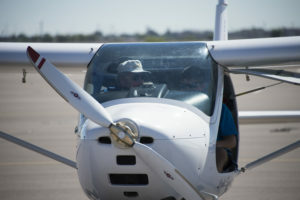 Arizona Flight Training Center (AFTC) has immediate openings for both full-time and part-time, professional flight instructors. Are you looking for something different? Tired of the regimentation of the academy environment but like to stay busy and build your hours teaching under structured, professional Part 141 and Part 61 programs? Looking to ditch the airline uniform in exchange for a golf shirt? Competitive pay (D.O.E.). Full-time employees enjoy paid vacation, paid holidays, other benefits available. Management and Part 135 opportunities. Optimum candidates will have CFI/CFII with at least 400 dual given but consideration will be given to candidates with lower time. All candidates must have excellent computer and customer service skills. Qualified candidates will be offered a free CFII Rating upon completion of 6 months of full-time employment with AFTC. Call or email info@flyaftc.com for details. To apply for these positions, please send a copy of your current resume to info@flyaftc.com. Please do not call or visit in person at this preliminary application stage. We may schedule you for an interview after reviewing your resume.